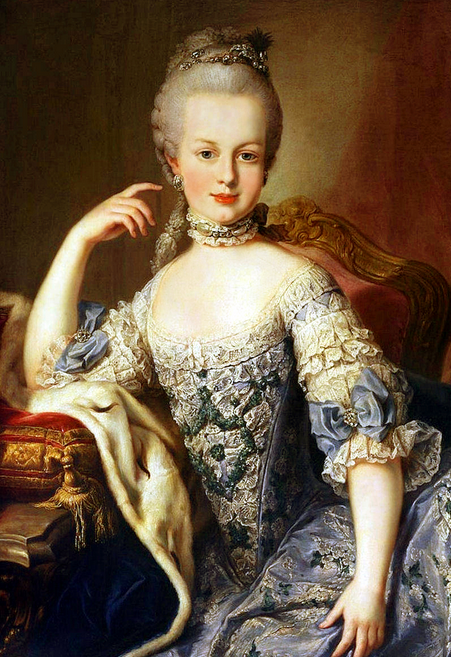 Elisabeth Charlotte von der Pfalz, also known simply as Liselotte, Duchesse d’Orléans, was quite a character and is rather popular amongst Early Modern historians to this day. 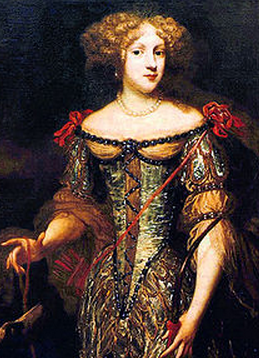 Liselotte was born on this day the 27th of May, 1652. Some people think Liselotte was a lesbian, as she was certainly a tomboy. Neither feminine, beautiful, nor particularly interested in diversions that most 17th century women were fond of, she preferred going hunting and exercising. In a time which favoured white skin for women, her skin was tanned from her love of the outdoors. She was intellectual in a time when women tended to refrain from intellectual pursuits. I would willingly have married the Prince of Orange, for by that union I might have hoped to remain near my dear Electress (of Hanover). Yes, the above excerpt from Liselotte’s letters shows that she was an early contender to marry William III of Orange, and in her letters she reminisces about her early visits. That always conjures up a lovely mental image of two children – a boy and a girl – rolling about on a costly rug – it’s nice to hear about William just being a kid. It is true that the late Madame was extremely unhappy; she confided too much in people who betrayed her: she was more to be pitied than blamed, being connected with very wicked persons, about whom I could give some particulars. Young, pretty and gay, she was surrounded by some of the greatest coquettes in the world, the mistresses of her bitterest foes, and who sought only to thrust her into some unfortunate situation and to embroil her with Monsieur. Many historians love her letters because of the amount of things we could learn from them – though, truth be told, I take everything she wrote with a pinch of salt. Whenever I read her letters, I get the feeling that she was a slightly bitter woman who still was a upset that she hadn’t married William III. I also believe she harboured some envy about his wife, Queen Mary II, for she was the exact opposite of Liselotte – beautiful, passionate, emotional, feminine, a real girly girl- and she married William. It seems that Queen Mary of England was something of a coquette in Holland. WOW … another independent 17th century woman … do you have any information about her lesbian lovers? For one who loved gossip, did she at least keep that in code? Hi Susan! I’m afraid there isn’t any solid evidence, or even any names to associate her with, but her overall character seems to support this theory. She might have been bisexual, which would explain her annoyance at not having married William III, but this is again conjecture as we really don’t know. Wonderful post! I love Liselotte, and envy her long correspondence with relatives and friends. (No one likes to write letters anymore! But I do. I guess my heart is a bit old-fashioned). She probably had lesbian tendencies but was so very religious. I’m not sure she would have acted in them, but it does explain why she wasn’t hurt to not sleep with her husband after they’d had 3 issue. Personally I have always been a great fan of Elisabeth Charlotte von der Pfalz..a.k.a. “Liselotte”. I find her quite charming and of excellent character admiring very much her bluntness especially during an age such as that in which she lived. In regard to her sexuality I doubt very seriously if she was a lesbian. Enjoying the outdoors or being a tomboy doesn’t mean any individual is gay..it only means they prefer certain activities over those which were considered to be the norm for females during that particular era. I enjoyed the perspectives expressed here even if I don’t happen to agree with all of them..they are all very interesting none the less.